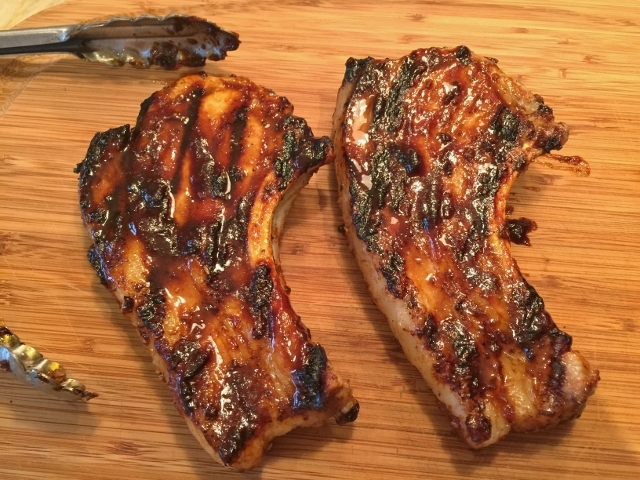 Easy BBQ Asian Pork Chops - Recipe! - Live. Love. Laugh. Food. 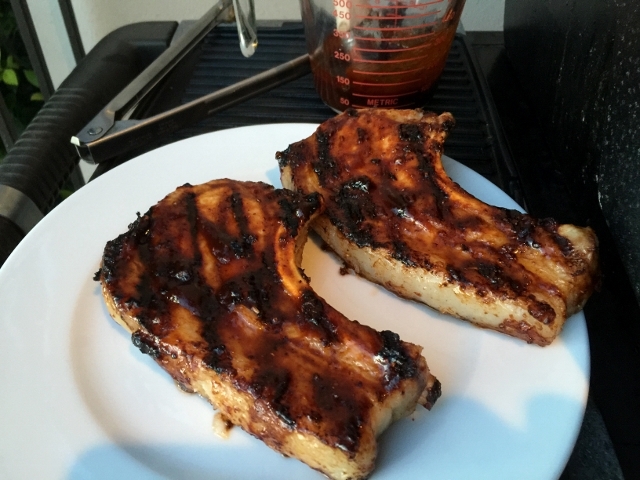 Pork chops are a house favorite of mine because they are simple to prepare and have such juicy flavor. 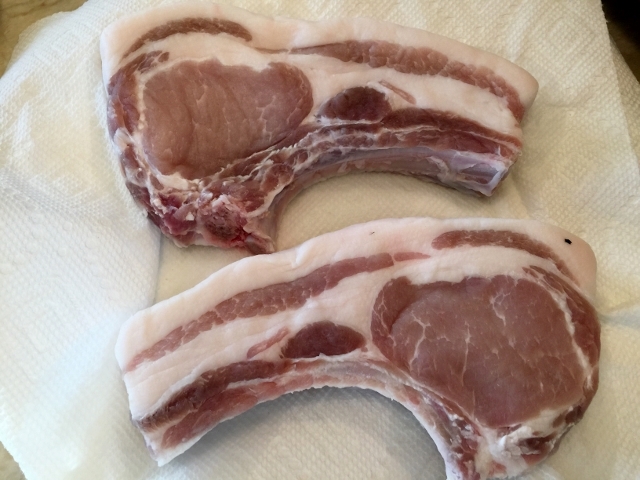 I brine my chops first by soaking them in water with a little Kosher salt and sugar to insure moist meat and a tender texture. 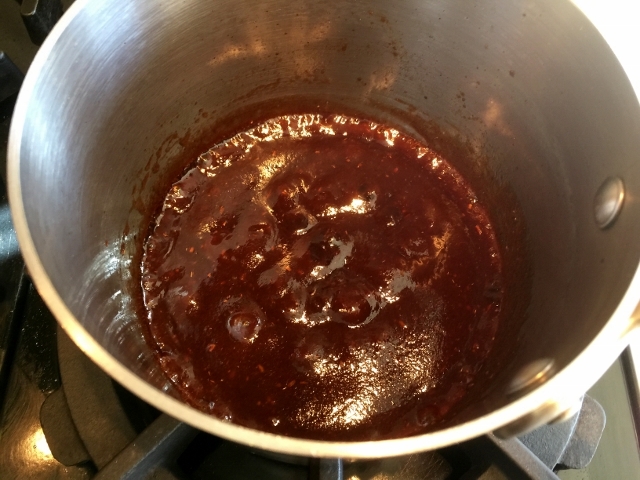 My BBQ sauce in this recipe is quite simple and is made with pantry staples you probably already have or can pick up at your local grocers. You can make the sauce ahead of time, which makes this a great weeknight meal. 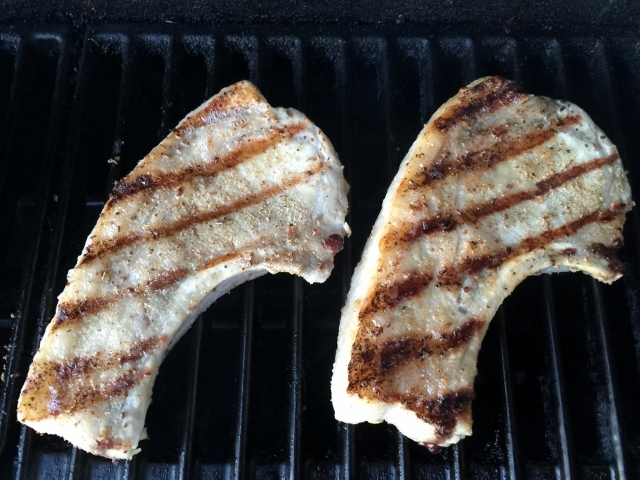 You can grill these chops on a gas or charcoal grill and they take less than 10 minutes to cook. 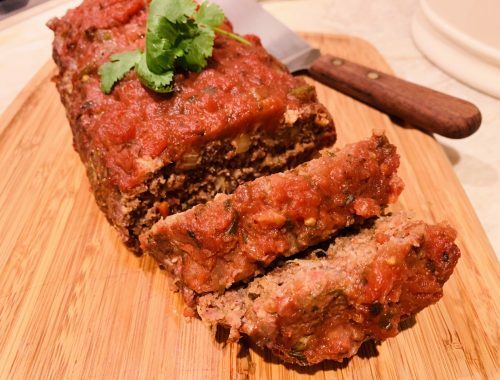 I hope you enjoy this recipe as much as me and my family do and if pork isn’t your thing, you can use these same ingredients with chicken too. 1. Brine your chops in a large bowl containing 2 tablespoons kosher salt and 1 tablespoons sugar with water to cover for at least 4 hours. Remove your chops from the liquid and pat dry with paper towels. 2. 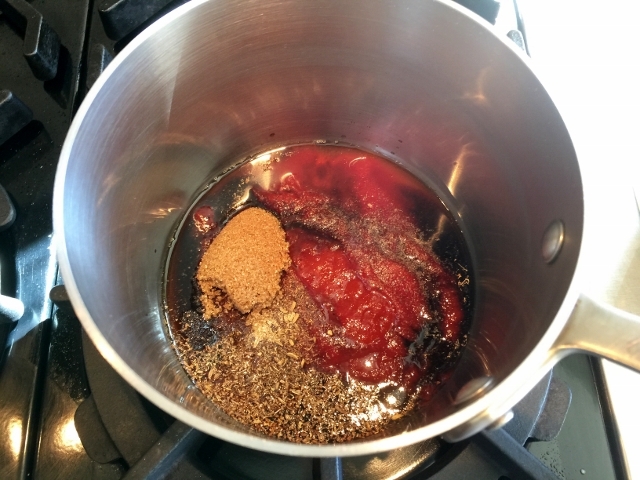 In a saucepan over medium heat, add the ketchup, Hoisin, soy sauce, sugar, 1/2 teaspoons ground fennel, 1/2 teaspoon black pepper and Sriracha. Cook the mixture until boiling and then simmer for 5 minutes, turn off heat. 3. 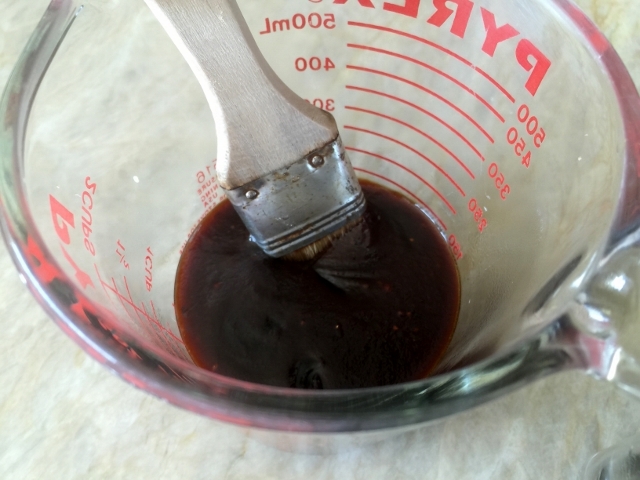 Pour into a glass measuring cup to cool and save for grilling. 4. 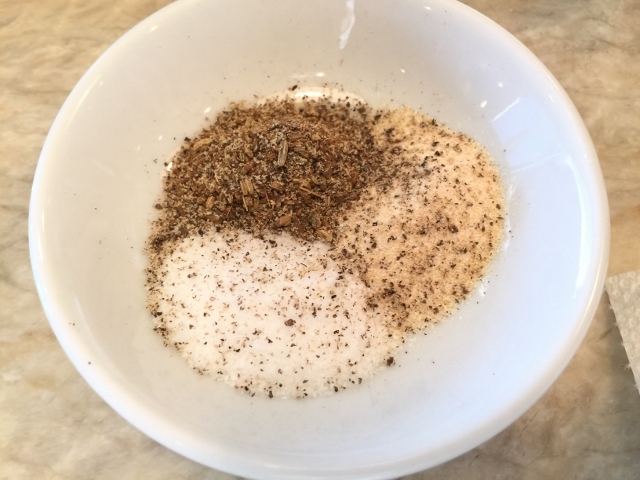 Then, combine the other 1 teaspoons of ground fennel and 1/2 teaspoon of black pepper with onion powder and 1 teaspoon of salt. 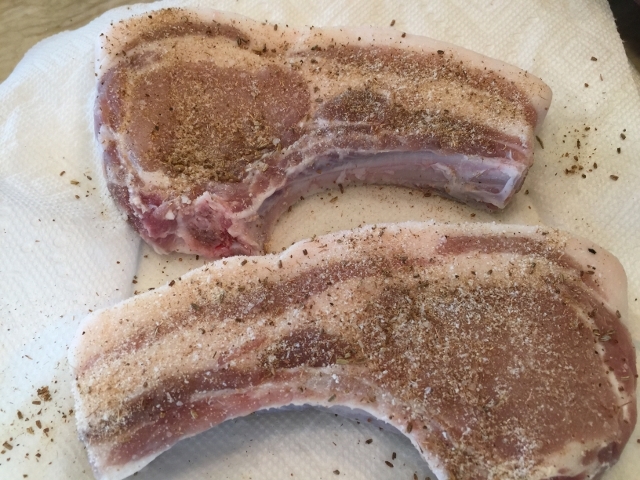 Sprinkle the chops on both sides with seasoning. Heat grill to medium high hea,t reserving one section of the grill to low heat. 5. Place the chops on an oiled grill and cook for 4 minutes. 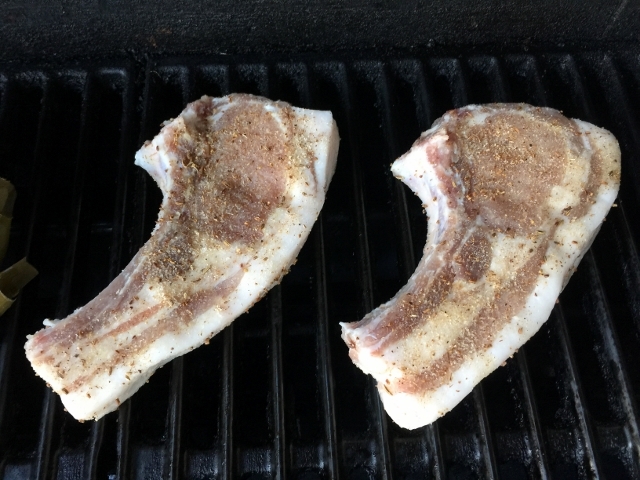 Flip the chops over and cook another 4 minutes. 6. 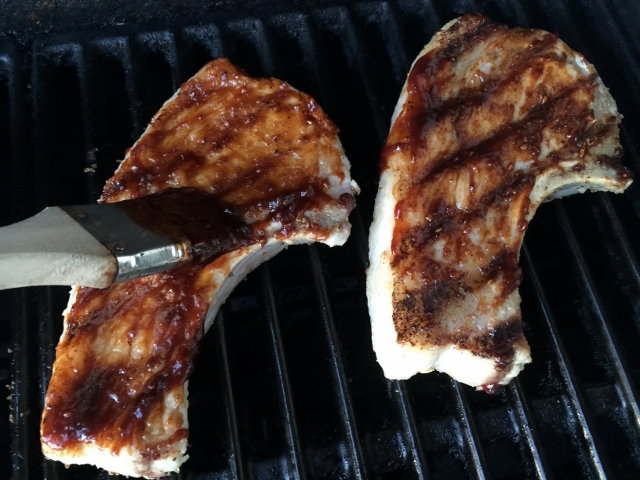 Place the chops over the low heat section of the grill and brush with BBQ sauce. Cook for 2 minutes and flip over and brush the other side with sauce. 7. Depending upon how thick your chops are, remove them from the grill and let rest or continue to cook another minute or 2 and then let rest. 8. 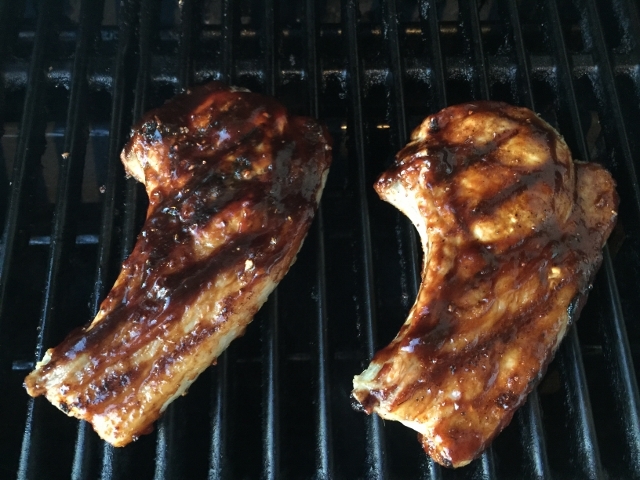 Slice the chops off the bone and into 1/2 inch thick pieces or serve whole with additional BBQ sauce. They go great with my Perfect Potato Salad. Enjoy! 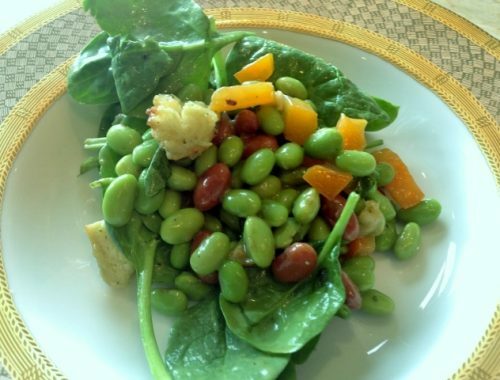 Edamame Spinach Salad with Avocado Dressing – Recipe! 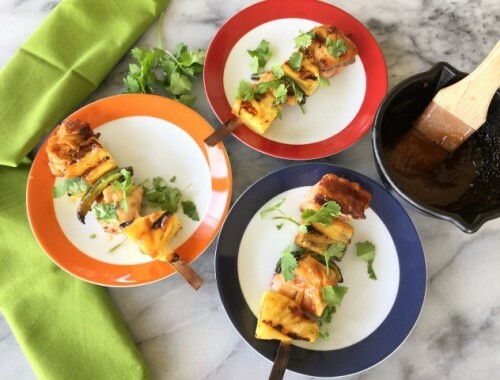 Salmon, Pineapple & Jalapeno Kebabs with Honey Miso Glaze – Recipe!